Fall has two major holidays to rally around, Halloween and Thanksgiving. This is the time of the year to tie your marketing in with community events. For instances, sponsoring a haunted house can really ramp up business. Thanksgiving, on the other hand, is a time for reflection, family, and gratefulness. Passing the savings onto customers goes great with the “thankfulness” theme of the season. We’d love to connect with trade or service companies – carpet cleaners, home remodelers, painters and such, who are seeking customers ready to spruce up their homes for the upcoming holiday season. Customers are now looking for holiday offers, promotions, and other ways to save. We offer frightfully good graphic design, monstrously competitive pricing and cackling great customer service. Call today to plump up your fall promotions! It’s true that trade shows may be too costly for first-time business owners, their lean marketing budgets usually are already stretched with basic start-up costs. Developing a great trade show exhibit, training sales staff and travel expenses – to and from the event, and the cost of hotels and food, it is not an inexpensive marketing process. However, like most marketing mediums, with a bit of creativity and the right strategy, a trade show can be a very profitable choice to promote your company. • B2B exhibits were reported at 39% of all marketing budgets were directed at trade shows since 2011. The resilience of trade show has been fairly steady over the past several years. • 81% of trade show attendees have company buying authority, meaning that 4 out 5 people walking the aisles are potential customers. • 78% of trade show attendees travel more than 400 miles to attend, meaning that as an exhibitor, you will be getting national audience at many trade shows. • 99% of marketing claim that they found “unique value from trade shows that they did not get from other marketing mediums”. The most valued aspects of trade shows were the ability to see lots of prospects and customers face-to-face, at the same time. • The average attendee spends 8.3 hours viewing trade show exhibits, giving the exhibitor plenty of opportunity to connect with their target audience – even multiple times in one show. You can achieve brand awareness, lead generation and build relationships by exhibiting in a trade show or event. Brand Awareness: Consistent branding is a huge aspect of your business’ marketing success, especially in service-oriented industries. Trade shows offer a great opportunity to build your company’s reputation, integrity and trust. Plus it portrays your company as being a serious contender in the marketing place, with strategic planning and booth placement, a company can position itself within its marketing niche, creating a powerful image of an “established brand” in the eyes of potential customers. Lead Generation: You can drastically expand your company’s customer base with exhibiting at a trade show. The people who attend trade shows are usually more motivated, seeking new and/or better products and services, and often are ready to commit or purchase on the spot. This is a much more worthwhile process of finding leads, then cold-calling from a database or business directory. To be more successful, set concise sales goals and objectives for your team, before the show or event. Interact with every person that enters your exhibit, as everyone is a potential target and keep notes of your contacts for follow-up after the event. A successful show could keep your sales team busy for months connecting with prospective customers and closing deals. Build Relationships: Trade shows are great networking events for you and your staff in three ways. You can build strong working relationships with potential customers, offering them the promise of exceptional customer services; you also have the opportunity to casually meet ­your competition, and evaluate your product or services and prices against them; and third, you have the chance to build business support and alliances, products and services that may benefit your own company. Make time to leave your booth and just walk around the floor on a fact-finding mission. It is very beneficial to see what your competition is doing right or what they may be doing wrong. Posing as a potential customer, take note of the giveaways that being distributed – do they relate to the company and would you remember them from the item. You can also research competitor’s prices and information about their latest products. After the show or event, you can evaluate the positioning of your products/services; critique your sales team’s performance and interaction abilities; and the effectiveness of your own marketing strategies. By having an attractive and eye-catching exhibit that is consistent with your marketing branding, have plenty of collateral pieces and memorable giveaways to distribute to the people for future reference and including your social media information so that event attendees can later connect with you online, will strengthen your brand awareness. Not all potential customers appreciate the direct marketing approach. They may find it intrusive and annoying, whereas the attendees of show and events are there by choice or as a benefit given by their company. They are out of their “business routines” and are more open and enthusiastic to finding the treasures of the show. The potential profits gained from a successful show or event can greatly exceed the cost of being an exhibitor. 360GS can jump-up your success as a show exhibitor with well-designed and affordable start-up show kits, starting at just *$575. Or we can create customized displays to fit your individual needs and budget. *Pricing may be updated if needed, as per availability. Does not include the cost of Design and layout. Customized brochures are one of the best ways to bolster business, large or small. 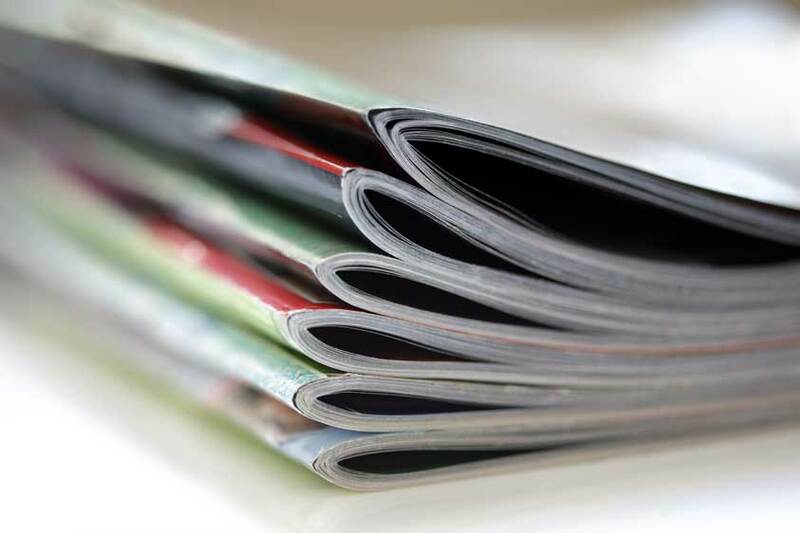 Brochures are one of the most diverse marketing mediums available since they are suited to a wide variety of situations. They serve as an interactive guide when explaining products and services, and point out key features and benefits to the customer. Since brochures are relatively inexpensive, they represent the perfect pitch when operating on a smaller budget. 1. Avoid stock photos –Make your brochure personal! Stock images are recognizable with today tech savvy consumers. Use images unique to your company, that will illustrate your companies services or products. Even though we live in the era of Internet marketing and long-distance business relationships, we all value a touch of personal contact. So take a deep breath, leave that stock photo behind and go for a professional picture of yourself instead. Note: Avoid filling your brochure with staff photos. Unfortunately, valued staff members may change over time and will out-date and limited the life span of your brochure. 2. Shrink the copy –Your business brochure should provide your prospective customer or client with a quick overview of who you are and what your company can do for them – “quick” is a keyword here. You do not need to provide a complete list of your qualifications and expertise. The potential customer will not have the time to read through a whole narrative of your company – so keep it short and focused. Include key benefits and information about your company, but leave some information out to discuss when you actually meet them face-to-face. 3. Include a call-to-action – Calls-to-action are a tactful and effective way to wrap it all up, and prompt the targeted audience into the desired “action”. This will maximize the impact and effectiviness of your business brochure. Need to create a customized brochure, or refresh and update your curent advertising and marketing materials? Contact 360GS today. Is Every Door Mail Marketing Right for Your Business? 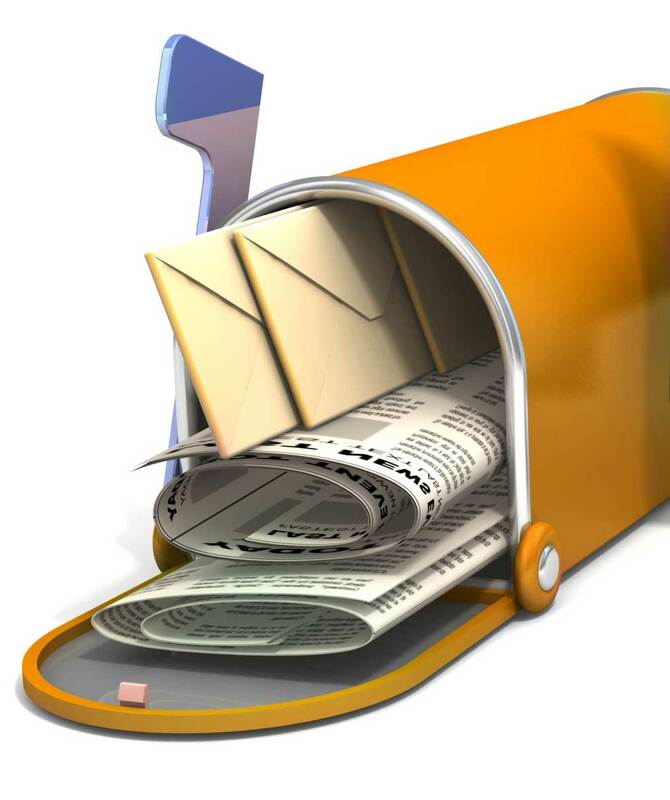 The Least Expensive Direct Mail Program Available, but is EDDM Right for Your Business? Last year the USPS launched Every Door Direct Mail, or EDDM, which offers businesses an inexpensive, un-targeted direct mail advertising option. USPS did an awesome advertising campaign to attract small business owners, and it does deliver to “every door” as promised. But now that some of the newness has worn off and the kinks have been worked out, is it a great marketing option for your individual business or marketing goals? According to BizReport, up to 85% of customers will come from a 5-mile radius from the point of business or event. With that in mind, Every Door Direct Mail is a way to deliver direct mail to every door in a given area and saturate the businesses and/or residents in surrounding region. This is very similar in comparison to traditional postcard mailings that use an “occupancy” or “current resident” mailing list, that offers no specific demographic choices. With EDDM, there are three (3) general demographics to work with – age, income level and household size, but you cannot be very specific in targeting your audience with this criteria. You select a zip code or a specific postal route, and you “mail”to each and every address in that selected area. Another substantial difference from traditional direct mail marketing is that EDDM is hand-delivered to each individual post office based on the postal routes chosen. Cost. Plain and simple. The USPS offers EDDM for as a low as 17.5¢ per piece. That’s less than half the price of Bulk Mail, and less than a third of the price of a First Class stamp. If you’re looking to blanket an area with your advertisement, and you’re not particularly concerned about only delivering to targeted groups, a fifty percent cost savings may suddenly make direct mail an affordable and viable option for you. Also, even the smallest EDDM postcard–with its larger size and having no mailing panel, offers substantial space for you to relay your advertising message or company information. USPS does have some requirements if you want to take advantage of EDDM. The biggest one is you have to take your mailing to the local post office yourself. This may be difficult if you are covering an area out of towns or even, out of state. Fortunately, USPS does offer shipping options, for an additional cost. There are additional requirements for the size and format for the mail piece, and how the pieces need to be bundled and labeled, when you drop them off. This isn’t as strict as with traditional direct mail marketing, but it can be time consuming. Another obstacle in working with EDDM, is in dealing with the individual post offices and postal clerks themselves. Unfortunately, the USPS has never been totally “user friendly” for direct mail marketing and working with EDDM is not different. EDDM is still a fairly new program, not all of the postal staff are trained on USPS EDDM requirements and your card can be challenged on every drop off trip. If you do feel intimidated by all of these requirements, you can still take advantage of the savings of EDDM. There are a number of direct mail printers or marketing companies who offer EDDM services. They know the formatting requirements, and will make sure your mailings are compliant and delivered to the post office. Often the costs associated with these services are still low enough where your business is saving money over using Bulk Mail. Is EDDM Right for your Company? Every business owner would like to cut costs in half. But that doesn’t mean EDDM is right for every business. If your business targets a very specific customer base, EDDM may not be for you. For an example, a lawn or tree trimming service probably wouldn’t want to send to every address in an area if a large percentage of households are apartments or condominiums where the residents aren’t responsible for mowing the lawn or trimming the trees. Not every advertising tactic is ideally suited for every business, but there are quality options available, ones that can be customized to meet your marketing needs. Contact 360GS, to explore Every Door Direct Mailing and if it is good choice for you. Go to camp: The same way camps inspired and changed you as a child, summer can change you as an adult. If the summer months are typically slower, invest some of that time elsewhere and in other actions that will help you to grow your business. Learn a new skill, take a class, immerse yourself in your industry, form and strengthen your ties to your industry, etc. The knowledge and connections you gain during these months will make you stronger and more powerful once the cooler weather hits and things pick up again. Can’t make a physical camp, try virtual ones. A number of industry or trade associations offer free webinars to attend – where the only cost is your time. Create cross promotion incentives: Unless your business is summer-oriented, things typically slow down for everyone during the warmer months. This makes it the perfect time to band together with complementary local businesses and find ways to cross promote. Create new partnerships that will allow you to trade services and share referrals to create new incentives for customers. If you’re a bakery, find a local sporting arena or community theater and ask them to sell your cupcakes at their concession and offer to give coupons or notices about their events in return. If you’re a landscaper and your business is booming, hand out flyers for winter service companies to get people thinking early. Do something crazy: When things get you slow, you have the best reason to experiment and try things you normally wouldn’t have had time to risk. You know that marketing strategy you wanted to try in December but you didn’t have time? Or that product you’ve been waiting to test? The local seminar you wanted to try and organize for your community? Now is the time to do that. Right now you have the time to brainstorm and implement things you won’t necessarily be able to fit in a few months from now. Use it. Get more social with your brand: Similar to doing some crazy, now’s the perfect time to start experimenting with social media and to create your social media business strategy. Set up that Twitter account, create the Facebook Fan pages, and film those customer retention YouTube videos, etc. If things are getting slow, occupy that time with new activities that could strengthen your company in the long haul. We all have whiteboards of things we can’t wait to do if only we had time…now you have that time. Research new forms of marketing: Break out of your current promotional bubble and look for new opportunities. Keep an eye out for new speaking opportunities, write articles to appear in industry publications, start making new connections with local media, and get a little bit aggressive with your promotional tactics. The media has a tendency to get a little “soft” in the summer months, help give them content to stand out among all the fluff pieces about summer festivals and events. They’re hungry for it and if you can pitch them a great story about your company, they’ll very likely take it. These types of activities will also help build your place as an expert long after the leaves begin to change colors again. Don’t let your marketing spirits die due to the summer slump. Instead, use this time to try out new strategies, create new relationships and build momentum that will take you clear into the Fall.